City holds rally to cheer Jets ahead of Sunday's big game. Be there. 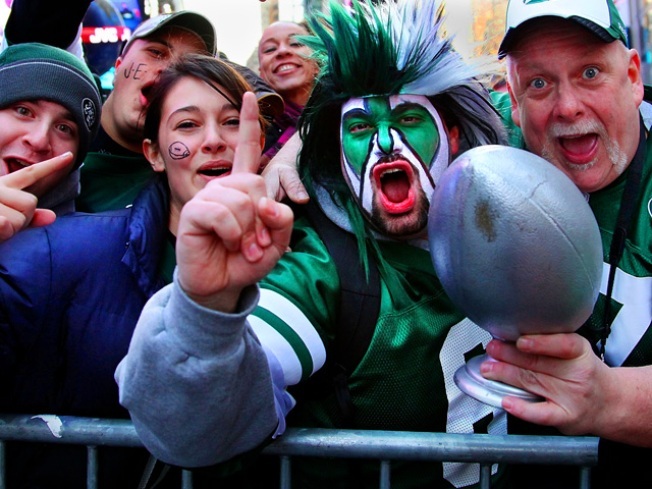 Jets' fans attend the New York Jets AFC Championship game pep rally in Times Square. Times Square will be ablaze in green and white tonight as diehard Jets fans gather with team legends and city officials to send Gang Green off to the AFC Championship game in true New York style. 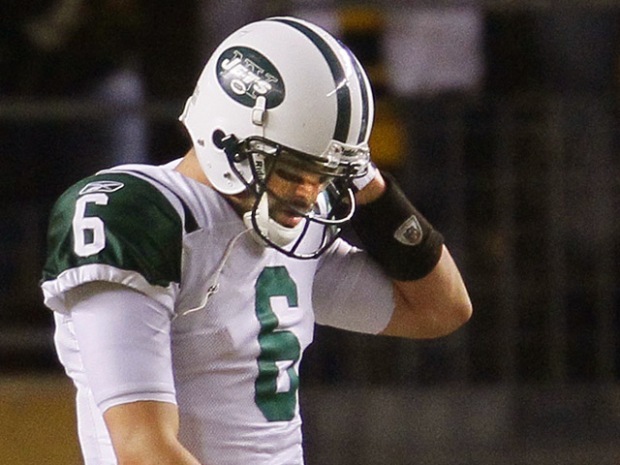 Sunday's match-up against the Pittsburgh Steelers marks the Jets' second trip to a title game in two years – but only their second trip since 1998. With a win, the team goes to the Super Bowl for the first time since the 1968 season. WHEN: Thursday, January 20, 5:30 p.m. – 6:30 p.m. The festivities continue in New Jersey on Saturday, where police are preparing for several thousand fans to form a human tunnel at the Jets' Florham Park practice facility. Florham Park Police Capt. Robert Treiber tells The Daily Record of Parsippany last year's send-off drew between 4,000 and 5,000 people. Treiber says he expects at least that amount this time. Motorists planning to use the Park Avenue-Columbia Turnpike corridor should find alternate routes between 8 a.m. and 1 p.m. Saturday. The winner of Sunday's game will play either the Chicago Bears or the Green Bay Packers in the Super Bowl on Feb. 6.